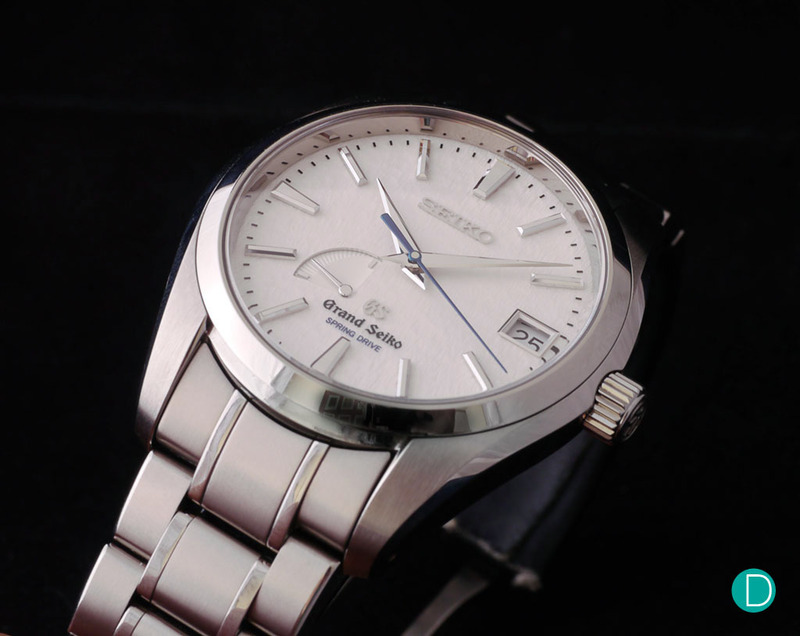 We are big, big fans of the Seiko Spring Drive watches, and have waxed lyrical over them in many of our reviews. 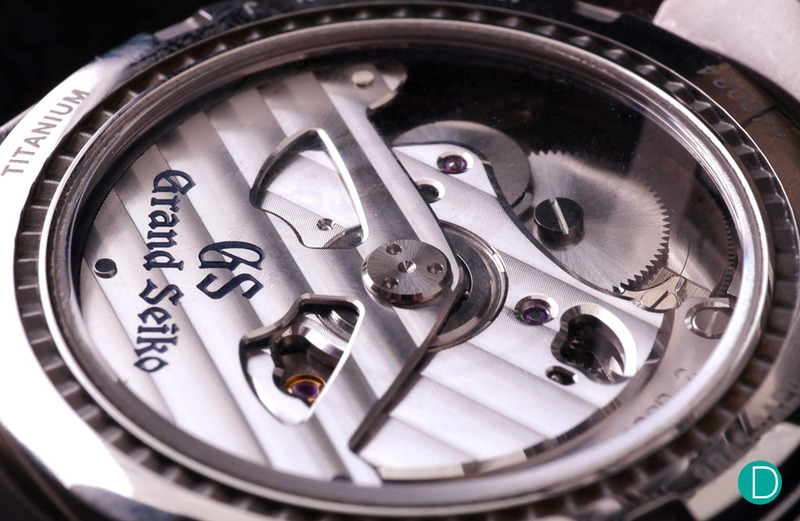 In this episode of Ask Deployant, our friend Joe Kirk of Grand Seiko USA answers questions on the Spring Drive. Credor Eichi I and the Eichi II in platinum and rose gold. Comparing the Credor Eichi II to the Dufour Simplicity. Joe Kirk left, Yoshifusa Nakazawa right. Photographed with an iPhone in Las Vegas, May 2018. For Instagram watch folks, the name Joseph Kirk is a revered one, especially for information packed posts on Grand Seiko. He recently ran an AMA series of Instagram Stories over at his account @josep.kirk. As Joe is a friend of Deployant and of our Chief Editor, he agreed for these to be responses to be mirrored on our site to reach a wider audience. 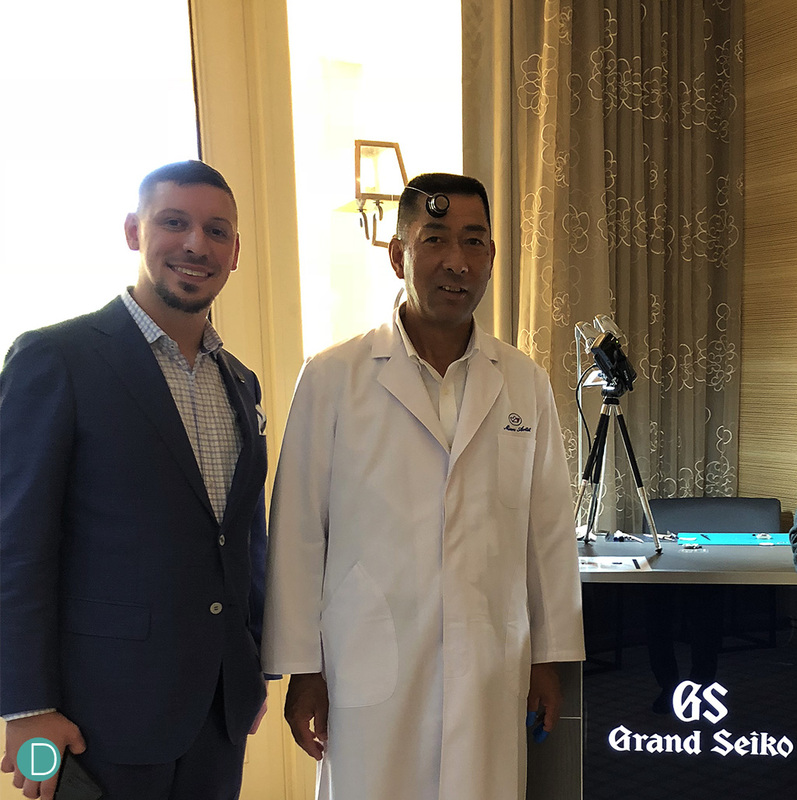 Thanks to Joe and to Grand Seiko USA for allowing us exclusive use of the AMA. Is the Spring Drive quartz or automatic? 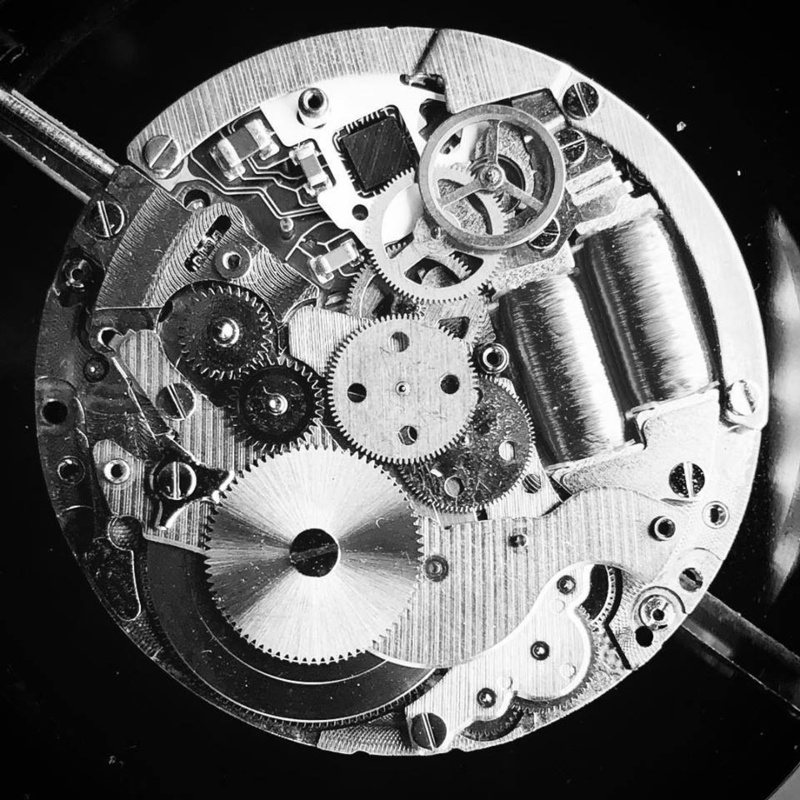 The Spring Drive is automatic, but it uses a quartz crystal to establish a rhythm to keep precise time. There is no battery whatsoever, and no storage of electricity at all. It’s like the best of both worlds, but using only mechanical energy deriving from a spring winding (as with all mechanical watches). Nope. No tick, sweep or stutter. Spring Drive glides. What are the main wear items that would need service? Pivots, pinions and teeth. But still less than most other mechanical watches. Smooth transmission, unidirectional motion and polishing of pinions ease stress and reduce friction, so still far less impact than traditional mechanical. Is Spring Drive sensitive to magnetism? If so, can it be demagnetized like a mechanical movement? Spring Drive models are all magnetic resistant to 4,800 A/m – ISO Standard. However, it is not affected the same as traditional mechanical. Potential magnetism would be while exposed to the magnetic field, so no need to demagnetize. Movement, with glide wheel seen through the rotor cut out. How is the watch protected from both internal and external magnetic fields? Voodoo. And partially The Force. Just kidding. Mostly by using appropriate materials and design. Brass, insulated copper, etc, and keeping magnetism out of reach of certain parts. How does temperature affect the Spring Drive? What is the min and maz? Temperature effect is minimal, just like quartz, especially since there is no hairspring. Its one of the few things that can impact performance, but is little compared to the way it would affect a traditional mechanical. Normal operating temps are 14°F to 140°F. Not that it will stop working outside these parameters, but definitely could have impact on performance. 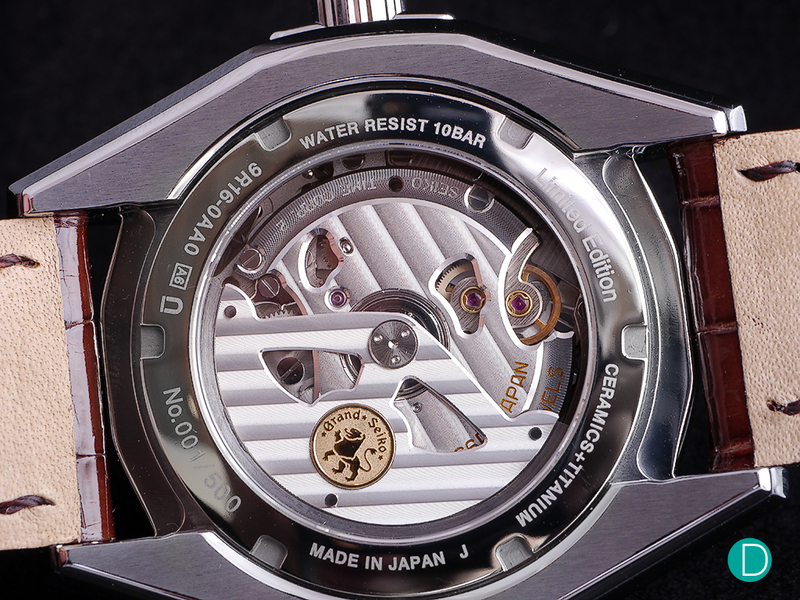 The caseback showing the 9R96. Magnificently finished. 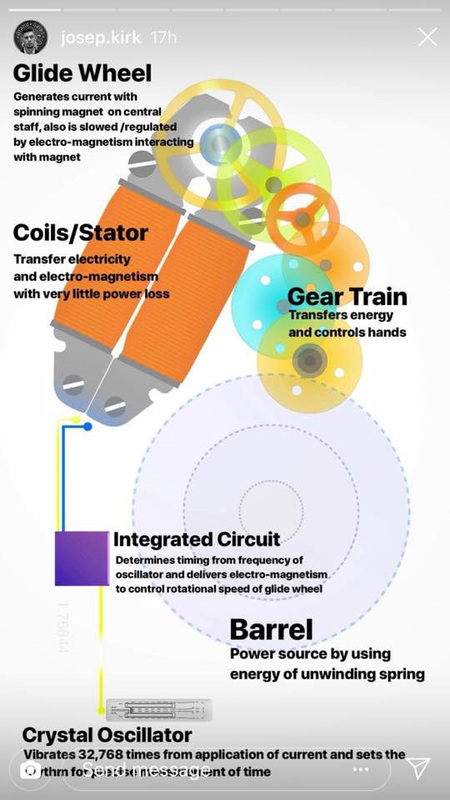 Is Spring Drive more resistant to vibrations and impacts? Typically shock and position have an impact on the swing of the balance/hairspring. Since Spring Drive does not swing back and forth, or rely on a hairspring to maintain accuracy, both shock and position have very little effect on accuracy. Its virtually non existent compared to traditional mechanical. Of course, if you drop it, it could have an impact (Ha! Get it…Impact) on performance of break. So YES, it is technically more resistant from an accuracy standpoint. Are the crystals used in the 9R the same used in the 9F? Yes, they both go through a special 3 month aging process to create better performance and are hand selected for quality. 9F is more accurate because of thermo-compensation…in case anyone is wondering. Will the Spring Drive movement be repairable in…let’s say 30-50 years? Absolutely. A vast majority of the components in the Spring Drive are the same as any mechanical. So as long as properly maintained multiple lifetimes. any ask me about the electronic side, such as the IC. This is a part that could not be serviced, only replaced. There are not many parts like this, but they would need to be replaced if something did go wrong. The good thing is, they have very long lifespans and should not fail, especially since it is so low power. So you should not have to worry in your lifetime, but the parts will be around for a long time. What about the mainspring? Is is special on the Spring Drive? The mainspring is an in-house cobalt-nickle allow known as Spron 510 (spring micron = Spron). It is incredibly high resilience, strength, durability and elasticity. I personally am yet to see a watch using this mainspring material have loss of power reserve over time (meaning not keeping a full 72 hours) or see this mainspring break. GS says service every 3 years. How long does it usually take before its actually necessary? Very good question. In the manual it will actually say 4-5 years, but even that is conservative. The reason for that time is lubrication. Viscousity will change and could have impact on performance. I bought my first Spring Drive in 2008. 10 years and never serviced and still runsstrong. -2 per month and still keeps full power reserve. In my own words…5 years is healthy and I think it could do 8-10 years. The Paradox of Watchmaking: Shouldn’t Watches get Cheaper with Efficiency?